Conches is today a town of about 5,000 people. One of the main sights is the gothic church of Saint-Foy, with its beautifully carved gargoyles. Before there were cars, the Normandy countryside featured beautiful treelined lanes where horses and carriages could travel in unhurried ease. This painting captures how life in Normandy was 200 years ago. 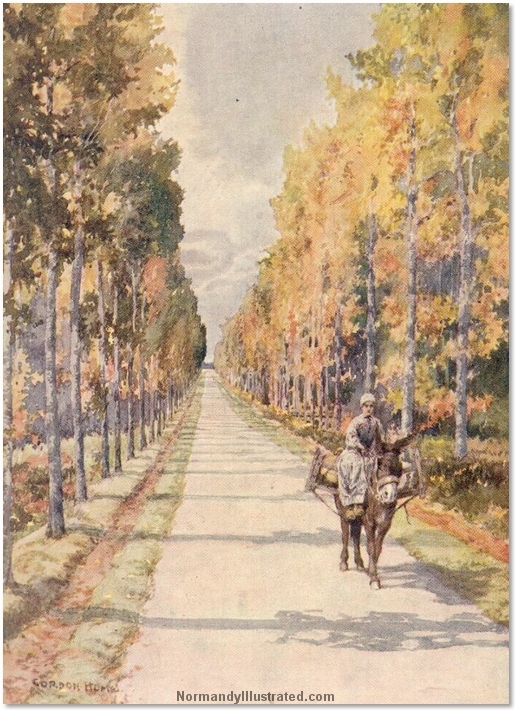 This scene typical of the poplar-bordered roads of Normandy.